oregano blossoms on my pizza | i made it so. i mentioned 16 things to do with herbs before, and the list has now grown to 25 things, thanks to all of your suggestions! you can eat these blossoms. just as you can eat the little buds on those chives. and made a pizza. i sprinkled the blossoms and leaves all over. the flowers are so full of flavour. 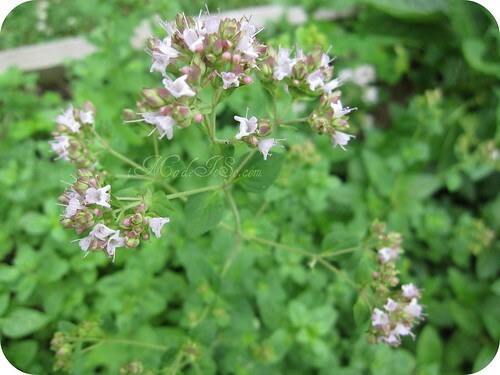 * oregano leaves are most tender and taste best before the plant flowers. * overcooking oregano makes it bitter. i add it last, or sprinkle it on fresh. when making pizza, i sauté all the other ingredients first to release the flavours. i put the sautéed topping on the pizza, then add any fresh herbs. if i’m using cheese, i sprinkle that on top, then warm it up just enough to melt the cheese. have i listed your ideas for what to do with herbs from the garden yet? you can see the list here. 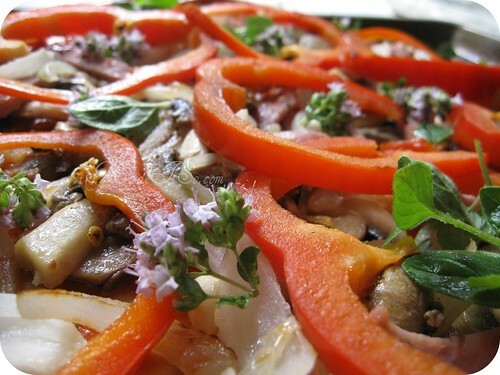 This entry was posted in green thumb, in the kitchen and tagged edible flowers, oregano, pizza, recipe. Bookmark the permalink. Mine are flowering like crazy. I never knew you could use the flowers. Thanks! Thanks for your nice recipe! you’re welcome ron. thanks for dropping by. What gorgeous photographs–well done! 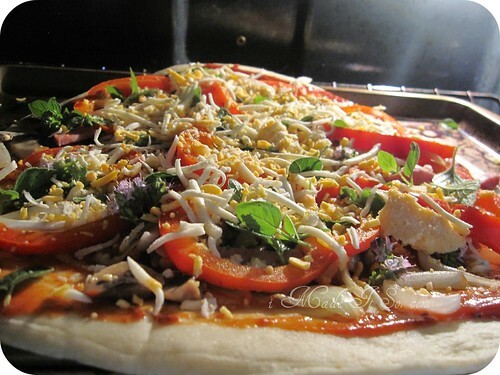 I am hoping that we make pizza this weekend, and so will have to try sprinkling the oregano flowers on top–it hadn’t occurred to me before. thank you athena! i really enjoy taking photos. Pingback: woah oregano! or, 16 things to do with too many herbs | i made it so. We and the kids love to go through the yard and pick stuff to make a salad, mostly edible natives. 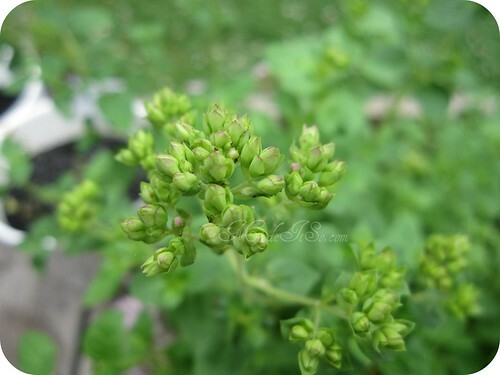 I have used the oregano leaves but never the flowers. I guess that’s next! you eat natives??! (sorry)…. tell me more? what sorts of things? Good idea! I have wondered if I should use my flowers. I do with basil, and now will with my oregano as well. Thanks for sharing! 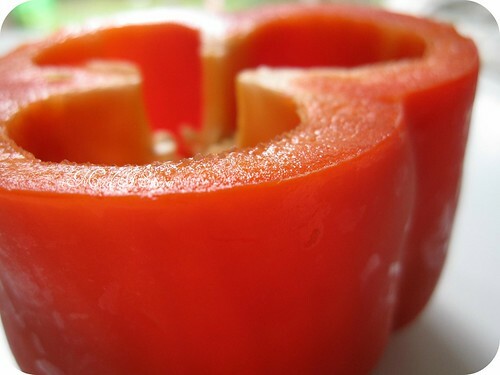 yes go for it :) let me know if you come up with a new way to cook with it! Well I must say that is by far the prettiest pizza I have ever seen! I will also admit that I’m now courious as to how it tastes. thanks a l’ott! it tastes like oregano, but not as sharp. let me know if you try it. I think I’ll come over to your house for pizza – it looks delicious! I shall have to remember about the oregano flowers, great tip thank-you. We had a big beautiful patch of it growing about 2 months ago, until the squirrels made off with it – *sigh* – I’ll just buy it fresh from now on. Yum! Fresh herbs make everything better, I think, even pizza…which is still pretty darn good without them :) Thanks for the tip on adding the oregano last. Really? I never knew! 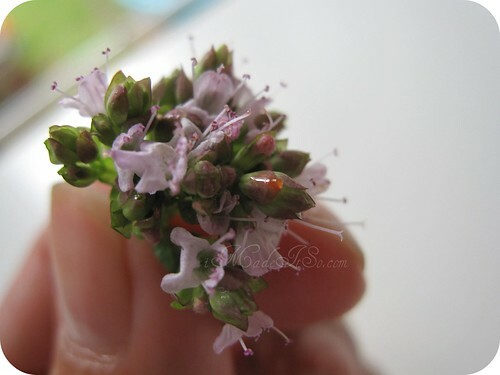 So glad you linked this up to the Tuesday Garden Party so I can use my oregano blossoms on our next pizza. :-) Thanks! Lovely photos and lovely pizza! Thanks for sharing such a fun idea. You take beautiful, beautiful photographs! Really enjoying perusing through your blog entries. Pingback: this year’s herb garden | i made it so. Mmmmmmmmmmmmmm……….. I want pizza NOW!!! Well, the one in the picture actually. It’s so nice and pretty! My homemade pizzas never look that beautiful!